After school with 8 kids at home is hectic. When the 5 younger ones all come in they are proclaiming they are STARVING they just can’t take it! They head to the fridge and cupboards. Recently, I had to put a stop to them just heading to the fridge and cupboards grabbing whatever they want. They’d take multiple snacks and the food would deplete really quickly. 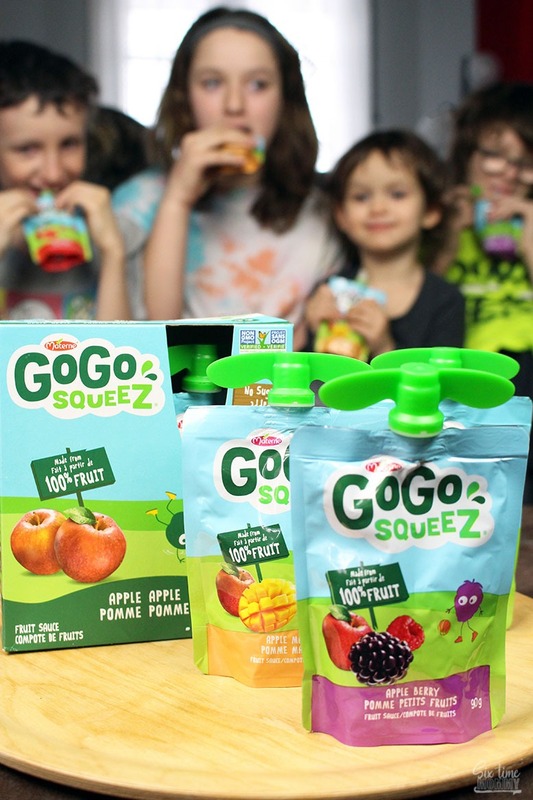 This brings us here, to After School Snacking Made Easy With GoGo squeeZ. My kids all like different things and want different snacks after school but one thing they can all agree on is GoGo squeeZ. They all love them, and with having multiple flavors to choose from it helps make after school snacking easier on me and the wallet! Offering up a healthier snack after school not only fills the belly but also leaves me feeling better knowing they aren’t snacking on junk food, they are snacking on a snack that is made from 100% fruit (or 100% fruit and veggies) with no added sugar. I make it my mission when my husband is off picking up the kids to have their snack ready and waiting when they get home. This saves time and energy when they get here and we have to gather the troops and get all the winter clothes put away, and homework sorted. They can hurry to the table, start eating their snack while the adults tend to the mess from the younger ones coming in and not being able to hang their clothes! GoGo squeeZ is a snack to feel good about. Recently, there were changes to Canada’s Food Guide which recommend the regular intake of nutritious foods – vegetables, fruit, whole grains, and protein foods in all forms. 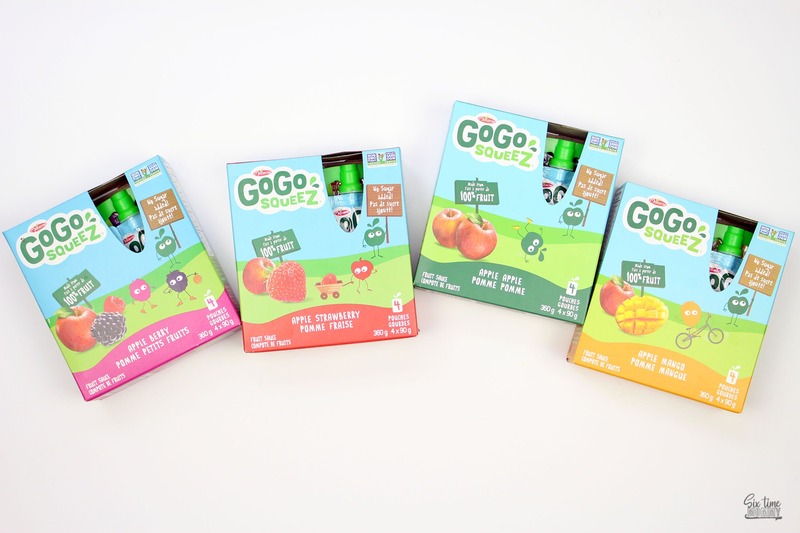 GoGo squeeZ has no sugar added, made from 100% fruit, non-GMO, no artificial colours or flavours, no nuts and is gluten free. All of which I know a lot of us struggle with when it comes to finding good nutritious snacks for our kids. 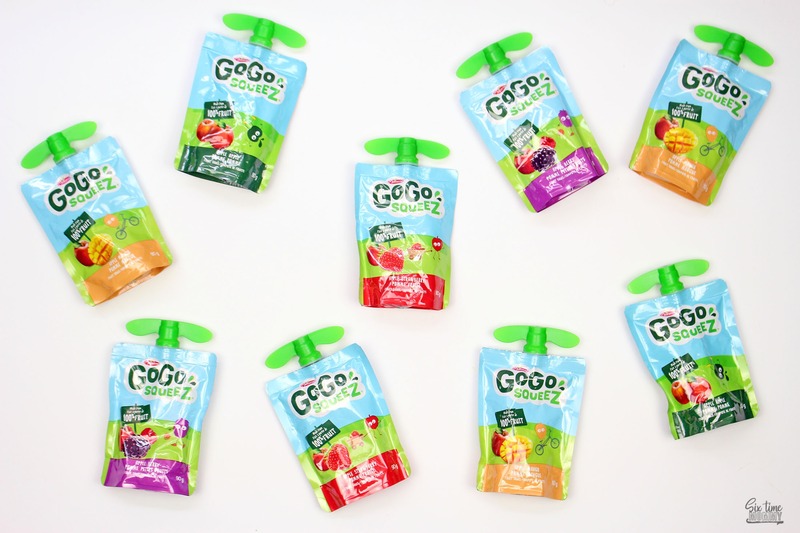 Our after school snacks include GoGo squeeZ but also a few other favourites as well, but the GoGo squeeZ are the first to be gone. 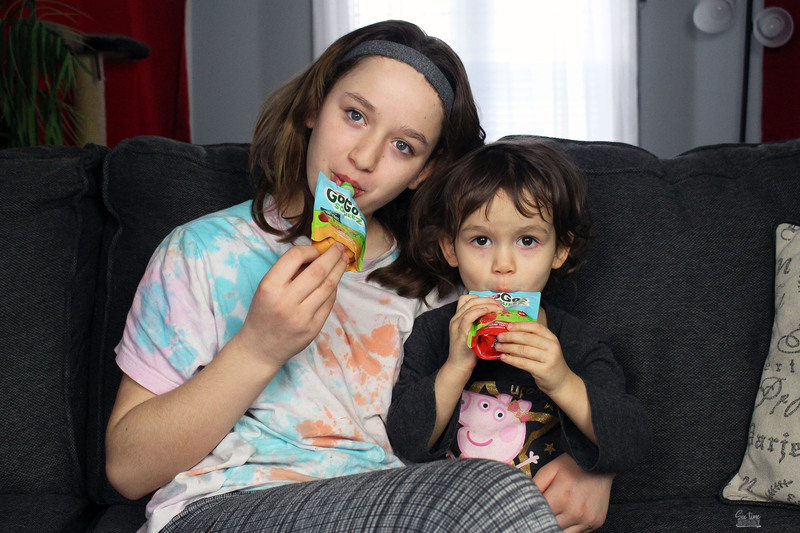 My kids love the fact there are so many different flavours to choose from including: Apple Berry, Apple Mango, Apple Apple, Apple Peach, Apple Banana, Apple Grape, Apple Pear, Apple Blueberry, Apple Strawberry and Apple Cinnamon. 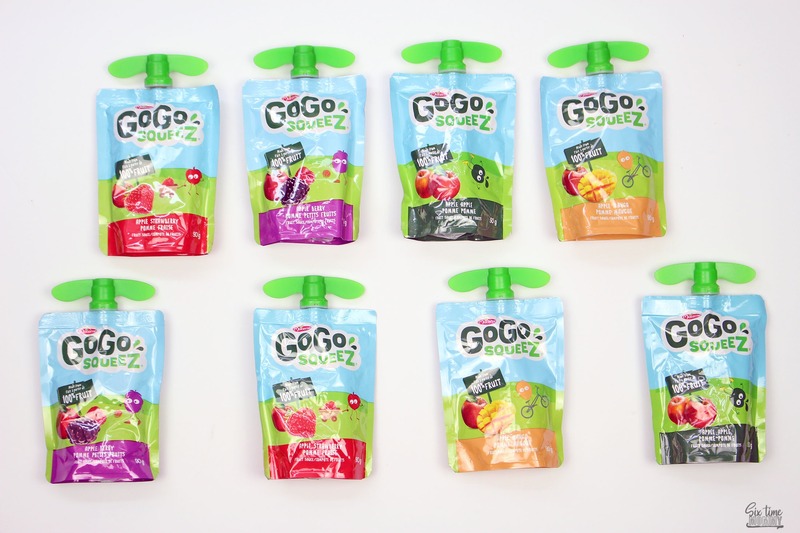 GoGo squeeZ are also perfect for on the go! The heli’cap screws on and off, and the reusable pouch makes it easier for even the little ones who may not eat the full thing right away to save the rest for later. The pouch is made from polyethylene and the rounded corners make for a safer pouch for little hands. Making them the perfect snack no matter the situation!